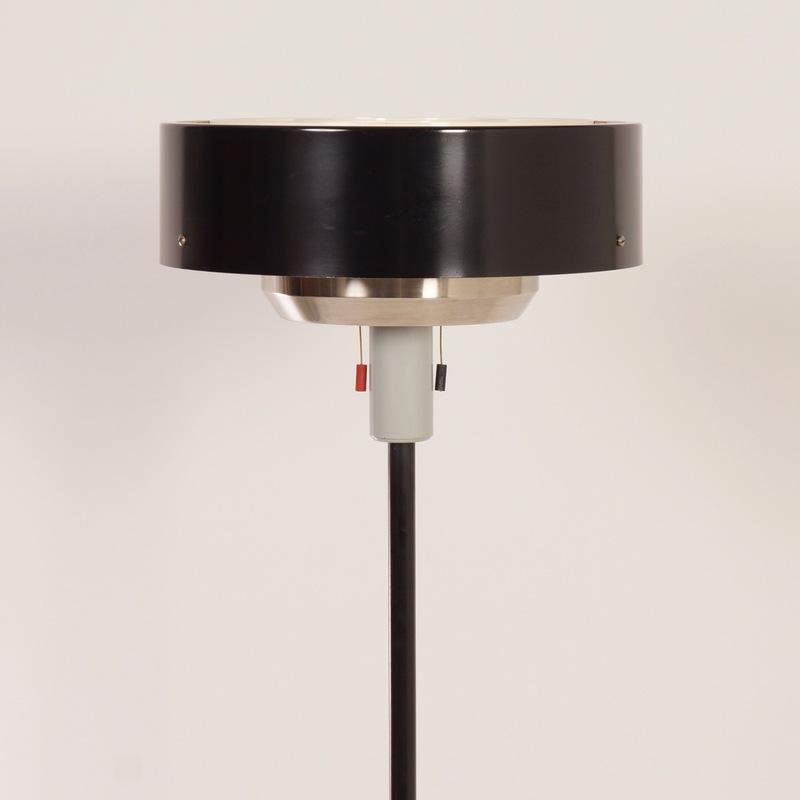 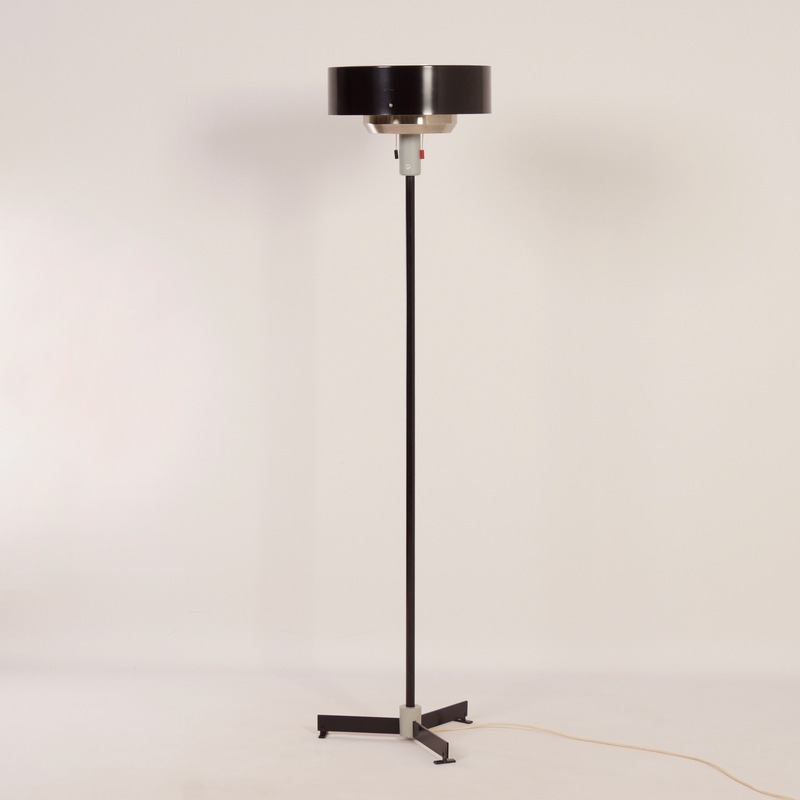 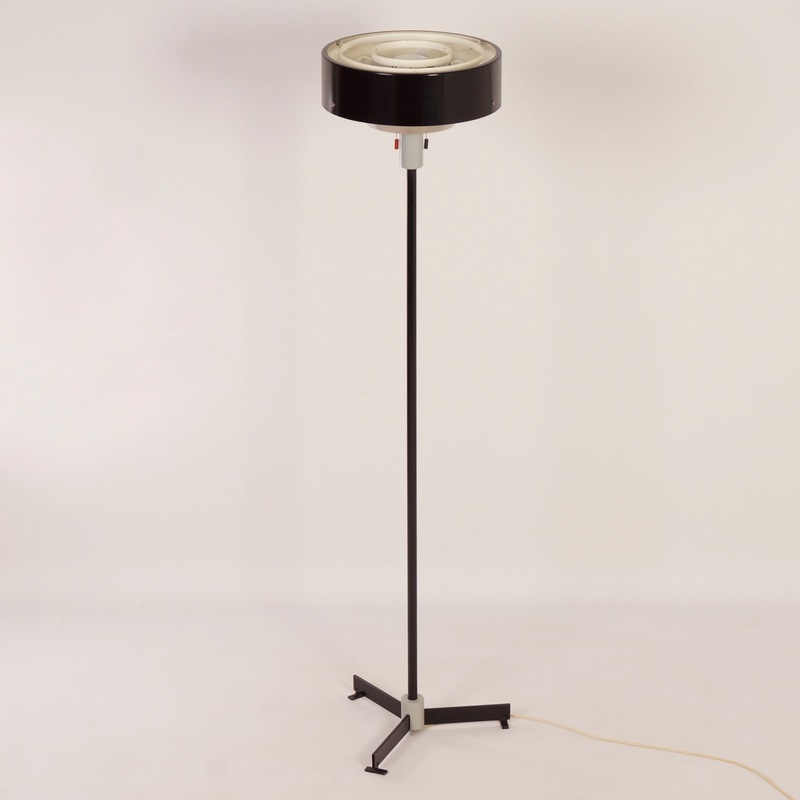 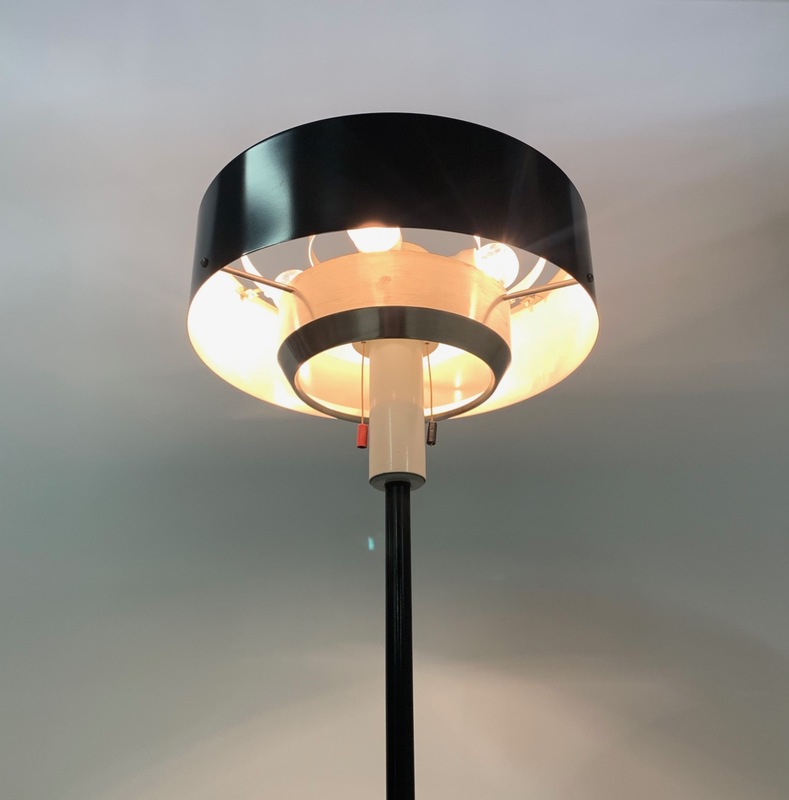 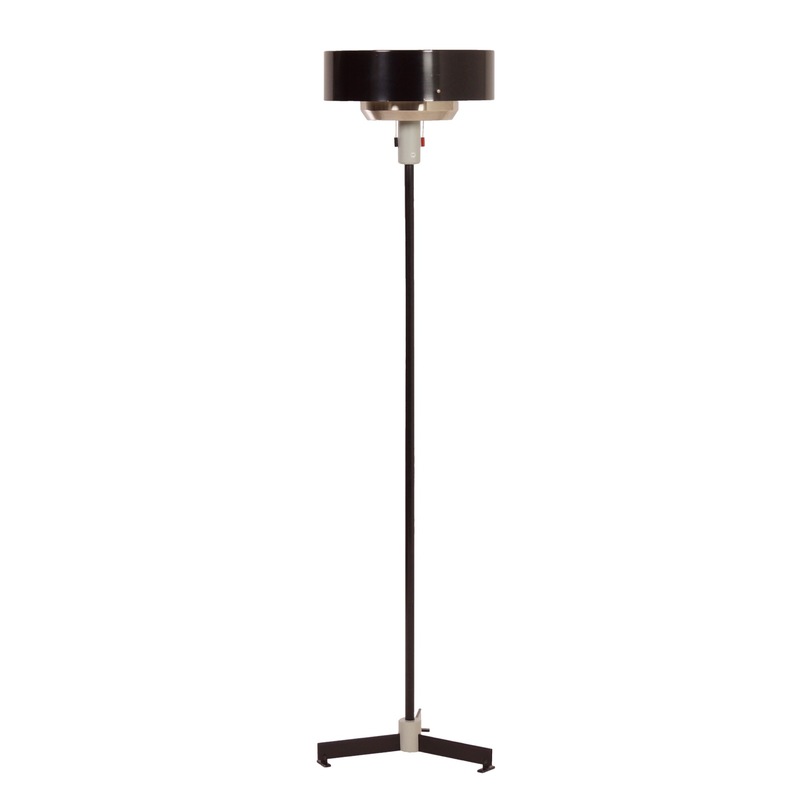 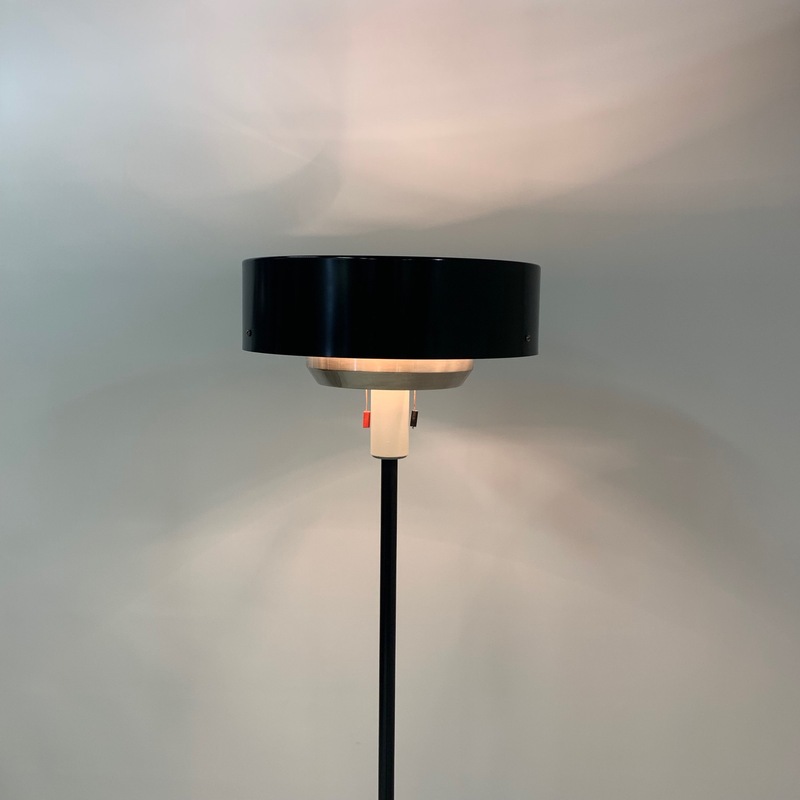 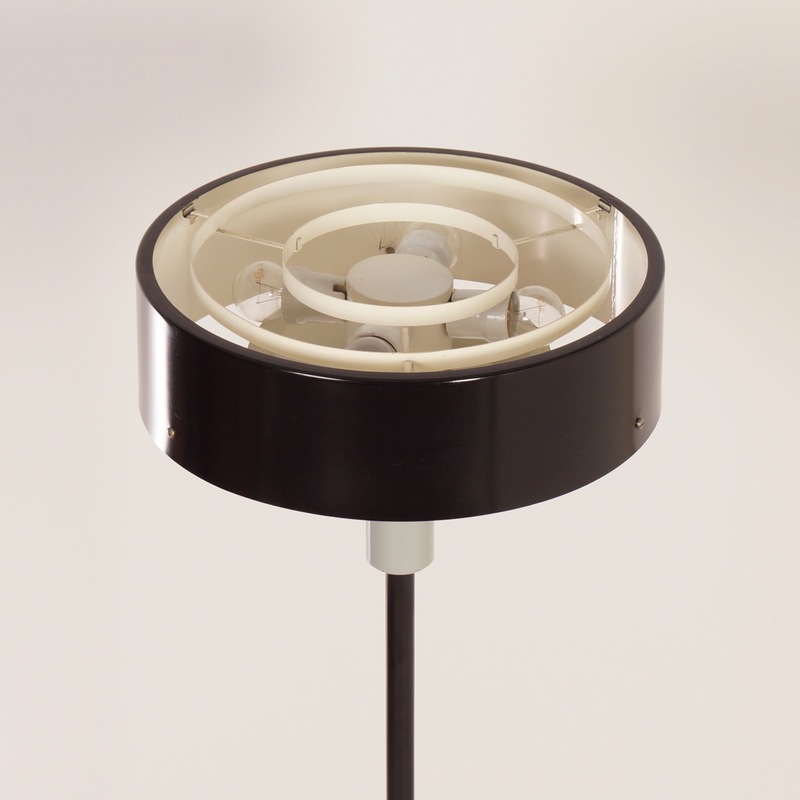 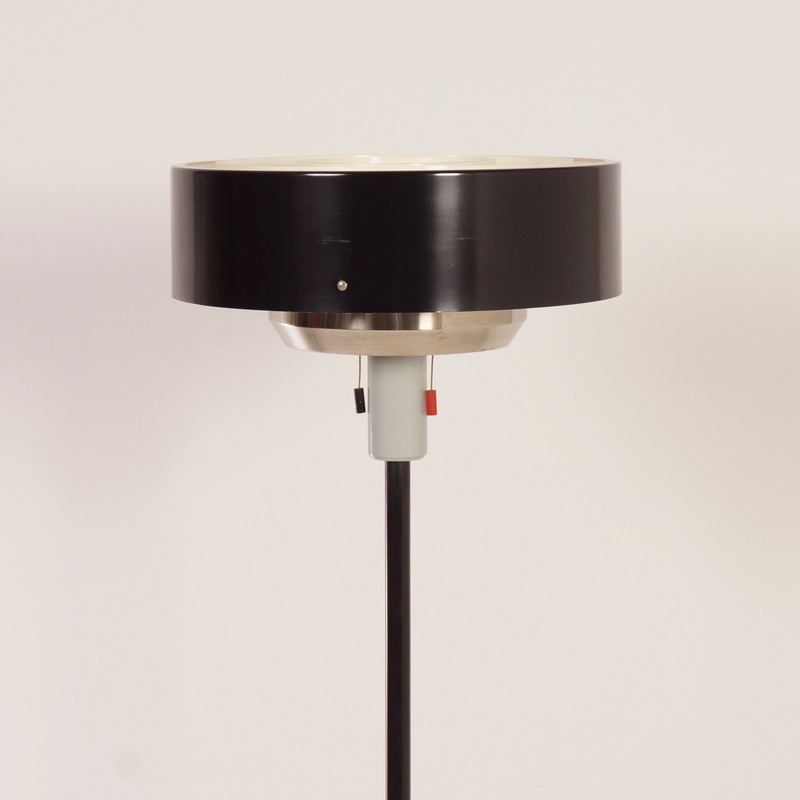 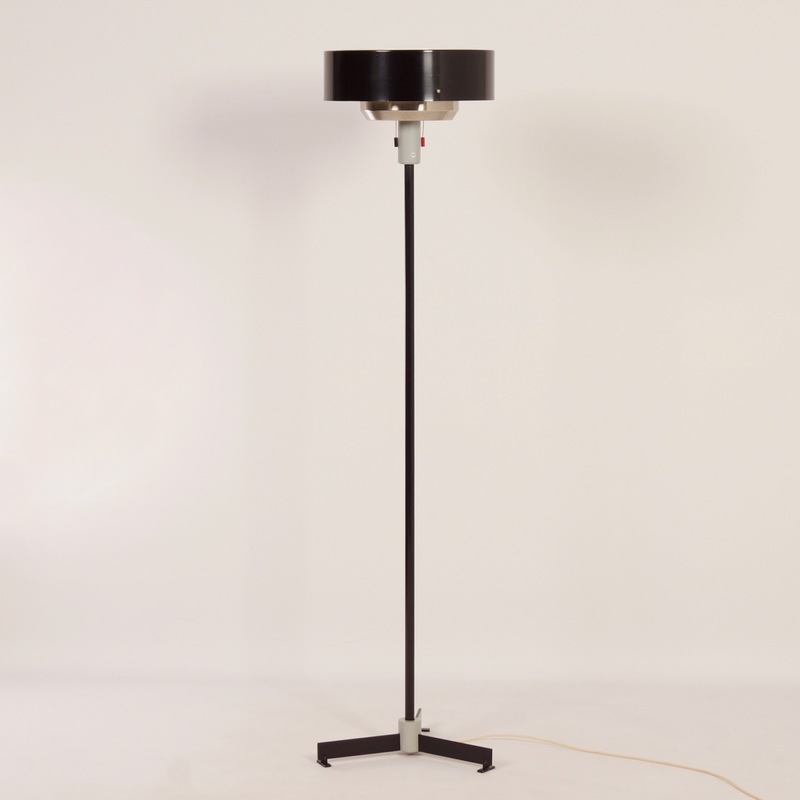 Rare Hiemstra Evolux floor lamp model ST 8619 designed by N.J. Hiemstra for Hiemstra Evolux in the sixties. 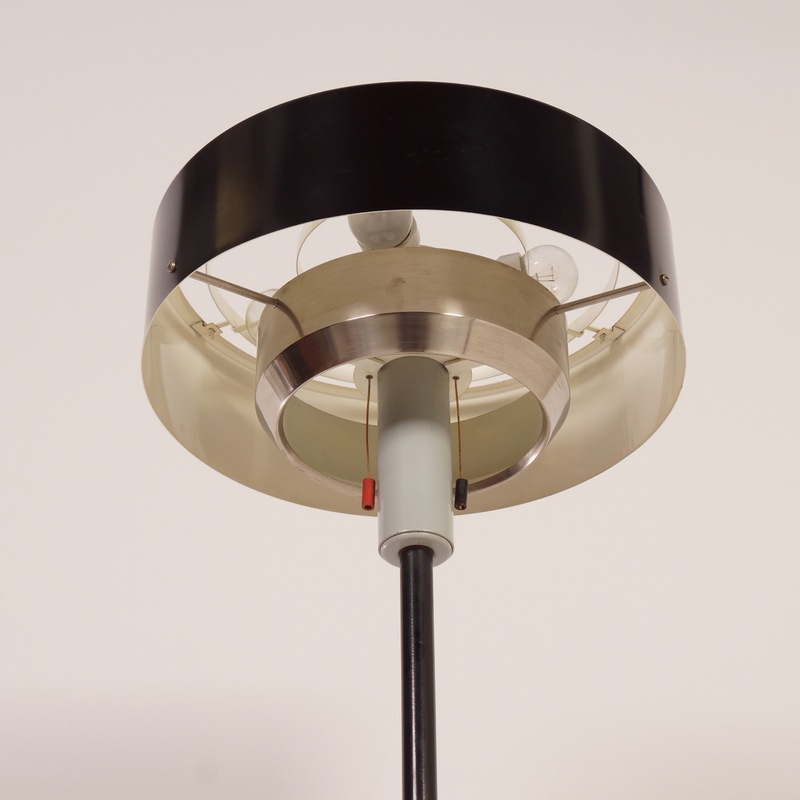 Both light bulbs can be switched separately by means of two pull switches. Suitable for direct light to read and indirect light to the ceiling. 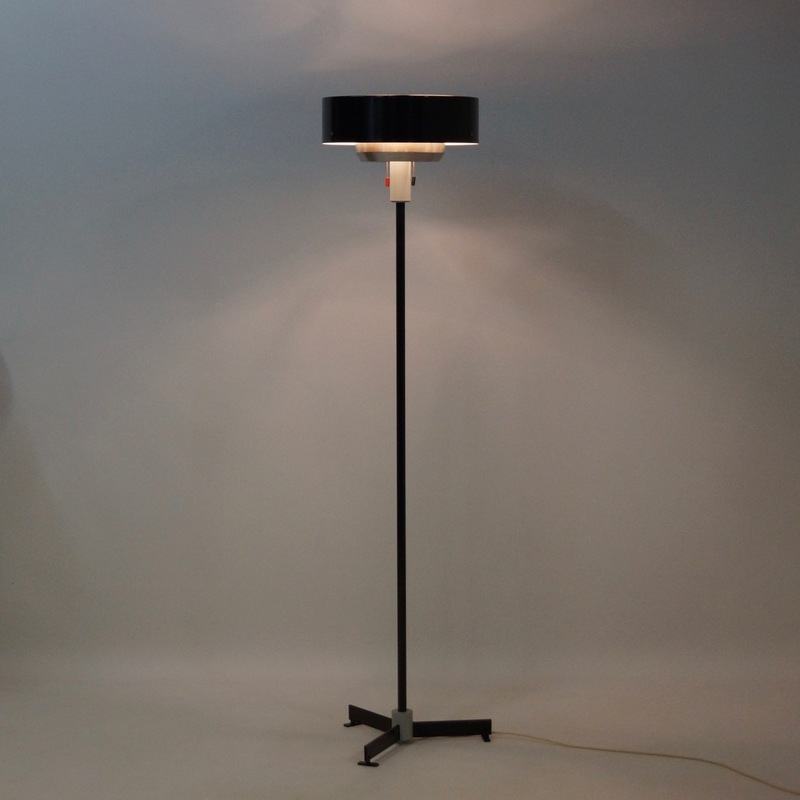 Material: black metal and matt nickel. 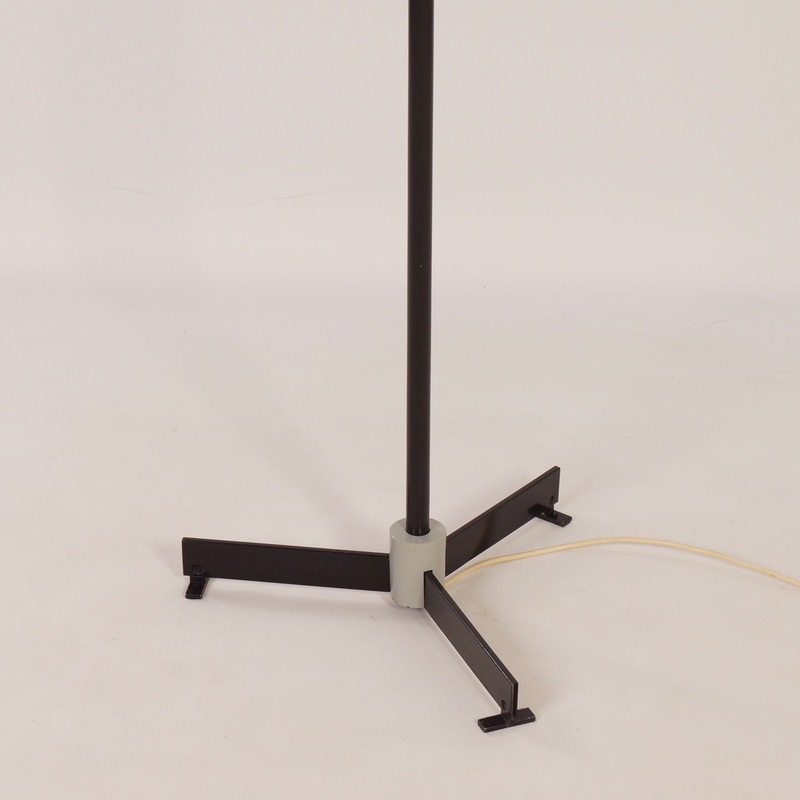 Dimensions: h x w x d = 160 x 38 cm. 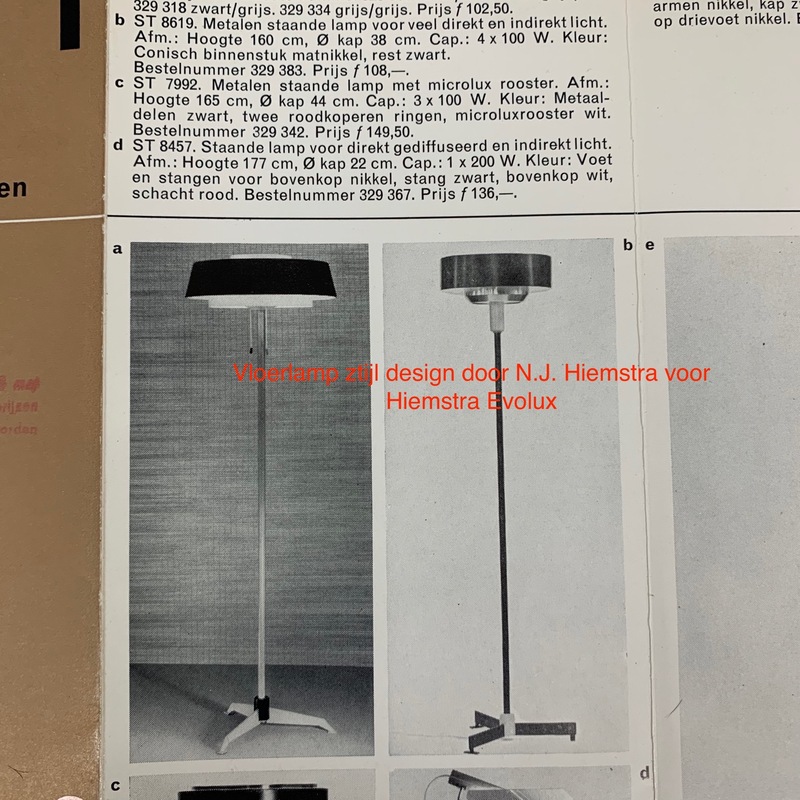 Source: Catalogue Hiemstra Evolux.